Fusion splicer is a device using an electric arc to melt two optical fibers together at their end faces and form a single long fiber. The resulting joint, or fusion splice, permanently joins the two glass fibers end to end, so that optical light signals can pass from one fiber into the other with very little loss. There are numerous well-known brands of fusion splicer such as Fujikura, CLETOP, EXFO, Noyes, AFL ect. The most famous brand of these is Fujikura. This text mainly introduces Fujikura fusion splicer. Fujikura Ltd. is a global, Tokyo-based electrical equipment manufacturing company. It develops and manufactures power and telecommunication systems products, including devices for optical fibres, like cutters and splicers. 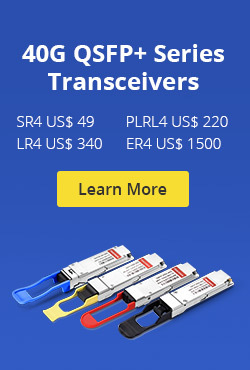 As the leading splicer brand in the world, Fujikura achieves and maintains the leading splicer brand in the world by providing quality products, extensive knowledge to telecommunication, photonics research and manufacturing application. Fujikura fusion splicer is one of the most widely used device in the world, and known for its performance, productivity and reliability. Fujikura fusion splicer keeps good condition as master’s tool to maintain good quality. And all Fujikura’s fusion splicers are backed by Fujikura’s Technical Support team. Fujikura has over 80 of authorized distributors all over the world. They stand by you and give the best and the quickest support, not only after service, but also before. You can depend on them for a solution to your every problem. According to different splicing applications, Fujikura fusion splicer can be classified into three types: core alignment splicer, ribbon fiber fusion splicer and special fiber fusion splicer. Core alignment splicer is mostly used in practice, which includes 70S, 19S. Ribbon fiber fusion splicer is an essential tool to work effcient, which includes 70R, 19R and 12R. Special fiber fusion splicer includes FSM-100 series, specialty accessories and recoater. It is obvious that FSM-80S has plenty of advantages over older ones in many aspects. Today, FSM-80S splicer is the new standard model to cover varied splicing needs in those fields. Also, it is just one of the typical device of Fujikura fusion splicer. 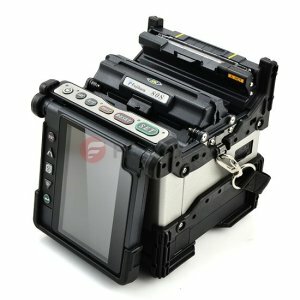 For more information about Fujikura fusion splicer, please visit www.fs.com. This entry was posted in Fiber Optic Splicing and tagged FSM-80S Core Alignment Fusion Splicer, Fujikura, Fujikura FMS 60s fusion splicer, Fujikura Fusion Splicer on April 30, 2015 by Admin. A few days ago, I have been a bit of interest in the fiber optic splicing work after I communicating with some fiber optic splicing engineers. Happen to have an product learning opportunity to learn the Fusion Splicer in these two days, I have read some references about it and today I am going to share some knowledge about fiber optic splicing in this paper. If you are just beginning to do the fiber splicing work, this paper may give some information to chose which technique best fits your economic and performance objectives for your long-term goals in this field. 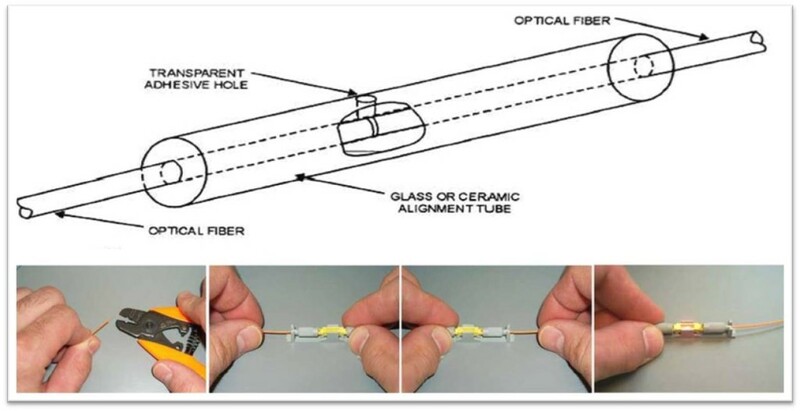 The most intuitive understanding of fiber optic splicing is joining two fiber optic cables together using a technology. Compared to connectorization, fiber optic cable fusion splicing provides the lowest-loss connection so that it always the preferred method when the cable runs are too long for a single length of fiber or when joining two different types of fiber cable together. In addition, fiber optic splicing is also used to restore fiber optic cables when a buried cable is accidentally severed. By looking at the data above, we can know that both fiber optic splicing methods could provide much lower insertion loss compared to fiber connectors or terminators. Mechanical splice is a device for fiber optic cable splicing. 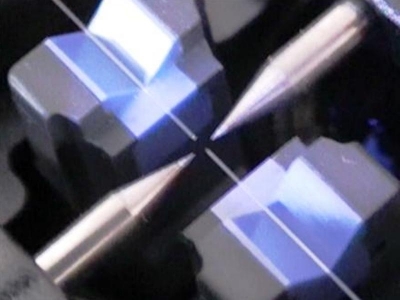 It is designed to hold the two fiber ends in a precisely aligned position and reduce loss and reflection with a transparent gel or optical adhesive between the fibers that matches the optical properties of the glass. Fusion splice uses an electric arc or heat to weld two fiber-optic cables together which can produce a continuous connection between the fibers enabling very low loss light transmission. In general, the initial investment of a mechanical splice seems much lower than a fusion splice. But the splice component itself, which includes a precision alignment mechanism, is more expensive than the simple protection sleeve needed by a fusion splice. For the performance, mechanical splice generally has higher loss and greater reflectance than fusion splice. 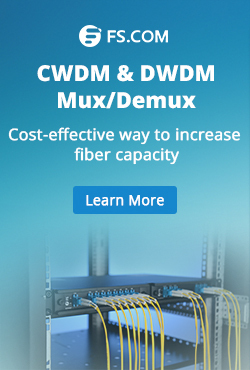 Additionally, fusion splice is used primarily with single mode fiber while mechanical splice works with both single and multi-mode fiber. Nowadays, many companies in this industry, such as the telecom or CCTV, invest in fusion splicers for their long distance singlemode networks, but have still use mechanical splicer for shorter, local cable runs. But as signal loss and reflection are minor concerns for most LAN applications, LAN industry has the choice of either method. Therefore, what the best is the suitable, you should choose a best suitable splicer according to your item. The splicing process begins by preparing each fiber end for fusion. We should firstly strip the outer jackets, polymer coating and so on to leave only bare fiber. And then a thorough cleaning of cable is needed. After cleaning, cables should be precisely cleaved to form smooth, perpendicular end faces. When everything was ready, you could place the fiber into the guides in the fusion splicing machine and clamp it in place. Repeat the above steps for the other fiber to be spliced. Here, we begin to run the splicer. Choose the proper program for fusion splicing, the fiber types being spliced. And then uses an electrical arc or heat to melt the fibers, permanently welding the two fiber ends together. The detail splicing processes could see the following video. This entry was posted in Fiber Optic Splicing and tagged fiber optic cable splicing, fiber optic splicing, fusion-splicers, Mechanical Splicing on October 24, 2014 by Admin.